Bjarke Ingels, a Danish architect, owns one of the most advanced studios in the world covering up urban scenarios. He was born on 2 October 1974 in Copenhagen, Denmark. Son of an engineer father and dentist mother, Ingels had a dream to become a cartoonist since a very early age. To follow his interest and improve his drawing skills, Ingels started studying architecture from the Royal Danish Academy of Fine Arts in 1993. While studying architecture he developed a fondness for the field and decided to pursue it. Ingels received his diploma in architecture in 1999 and won his very first project, as a third year student and started off the practice. To have more professional proficiency Ingels worked from 1998 to 2001 with Rem Koolhaas and later co-founded a company named PLOT. 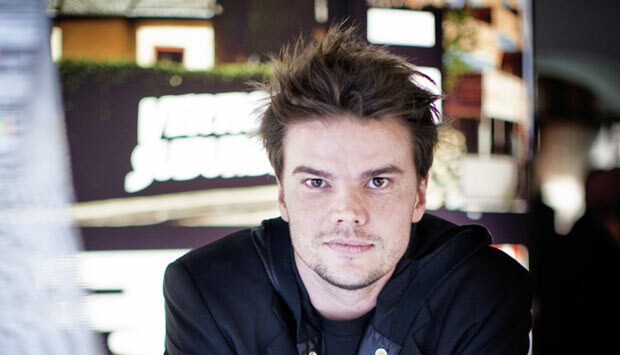 He worked under this name for some time and dissolved it later in 2005, leading to the inauguration of another firm Bjarke Ingels Group (BIG), in 2006. The firm has around 60 employees from all over the world and is continuously making progress by leaps and bounds. Bjarke Ingels has, in some way, surpassed the conventional Danish architectural techniques and brought about revolutionary reforms just matching the modern day demands. In all his projects, Ingels tries to attain equilibrium between art, architecture, nature and urbanism. He tries to embed the social, cultural, contextual, political and economic aspects into feasible physical structures for the uplift of current day living standards. Apart from this, Ingels also seems to be in a constant battle with climate changes and its influence on our buildings and architecture on the whole. He explains this in his own words as, “Buildings should respond to the local environment and climate in a sort of conversation to make it habitable for human life.” For this purpose Ingels invests a lot of his energy on sustainable designs and renewable energy concepts. To propagate his concerns and provide his efforts with a vast scope, he released a video with title Worldcraft in 2014 and put forward ideas regarding future scenarios and proposed different concepts to meet the needs of unfolding architectural issues and entitled the efforts as ”turning the surreal dreams into inhabitable space.” Bjarke Ingels has also published two books addressing the same issues and promoting the same architectural philosophies. With a keen analysis of all of his works it can be concluded that Ingels is sticking to his revolutionary ideas quite firmly and moving ahead vigorously with high spirits.